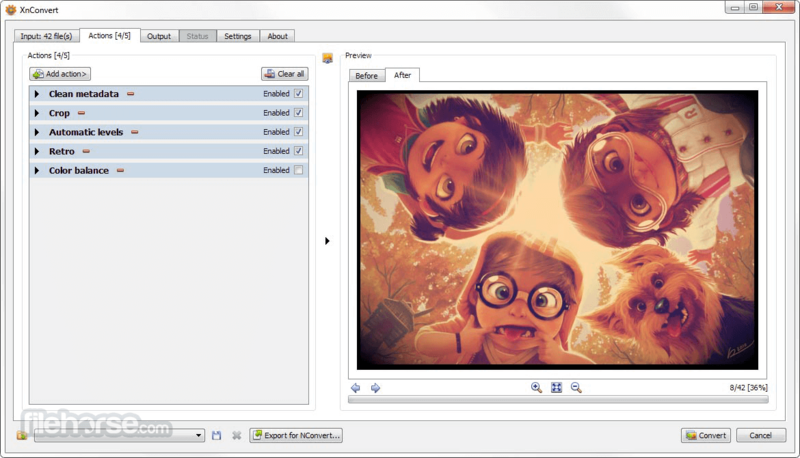 XnConvert 64-bit is a powerful and free cross-platform batch image processor, allowing you to combine over 80 actions. Compatible with 500 formats. It uses the batch processing module of XnViewMP. 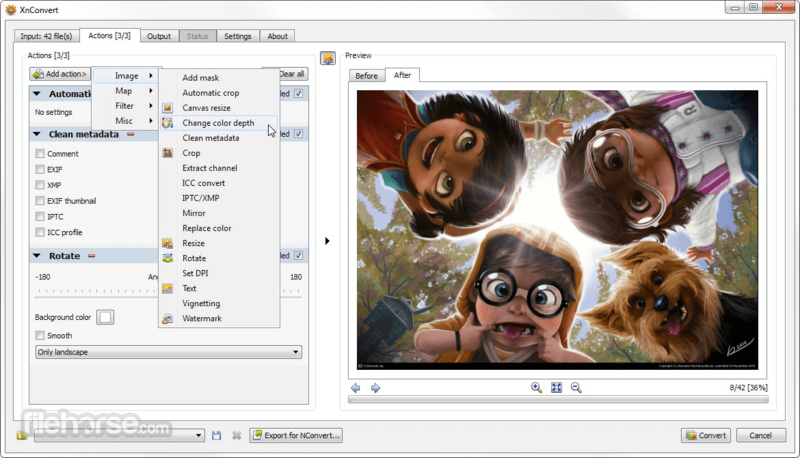 XnConvert is Multi-platform, it is available for Windows, Mac, and Linux for both 32-bit and 64-bit editions. XnConvert is Multilingual, it includes more than 20 different translations. It offers powerful features in an easy to use interface providing convenient drag & drop functionality. 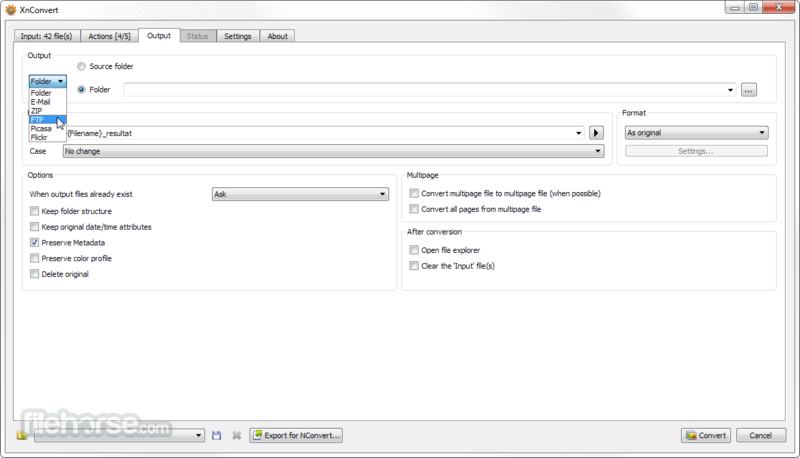 XnConvert 64-bit is compatible with more than 500 formats and Export to about 70 different file formats.